Come join us for Federation Fest. 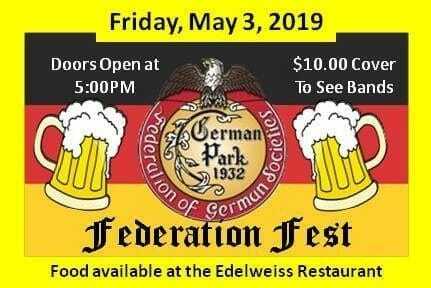 $10.00 Cover at the door, live music, great German Food. This is a fund raiser to raise money to repair vandal damage that occurred this winter at German Park.